Do Easy, the album, drops on November 18. In the 1994 Aussie comedy, Muriel's Wedding, the title character — that's Muriel, played by Toni Collete — is a dorky young woman who spends a lot of time daydreaming about leaving her sleepy hometown and finding a hunky husband. It's a cheesy, but totally charming, film, that's enhanced by Muriel's unabashed love of ABBA's soft drums and feline harmonies. 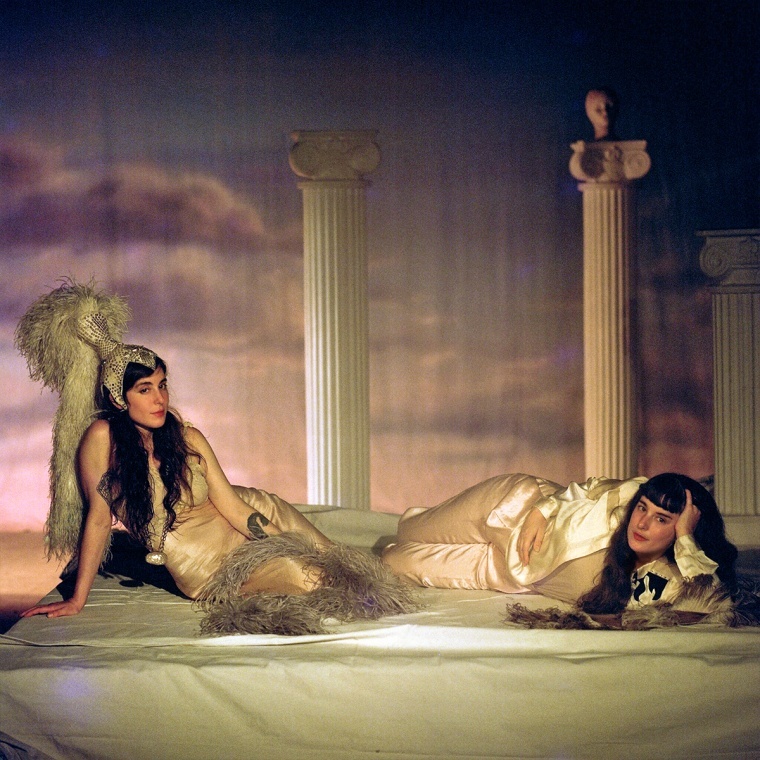 I didn't recall Muriel's Wedding when I saw the campy, all-white art for Toronto twin sister duo Tasseomancy's new single, "Do Easy." Instead, the allusion hit when I pressed play: it's glowing, dreamy retro-pop song, undercut with a little bit of melanchony. 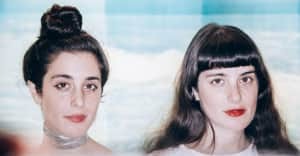 Romy and Sari's lush vocals flit between pillowy and crystalline, and with those gently clacking drums it all sounds a little bit like an ABBA B-Side remastered for 2016, with some cinematic whimsy. "Do Easy" is the first single from Tasseomancy's upcoming third album, of the same name, out November 18 on Bella Union/Hard Drawn Dracula. In an email to The FADER, the group provides a more curious explanation than a quirkly '90s rom-com, calling the track "an iconoclast pop hit written from Romy Lightman's sub-conscious in a basement apartment." They elaborate: "Inspired by the wild flamingos of all the night karaoke soirees and the domestic manifesto of William S. Burroughs's The Discipline of DE. Burroughs's doctrine on finding 'the easy way' struck me as something rare and I hung onto it like a piece of protection. Later on, I discovered that Genesis P-Orridge believed this text to be one of the greatest magic techniques for retraining the mind. Endorsed by Occultists, stoners, freaks, the ultra zen and the highly sensitive, "Do Easy" attempts to infuse the mundane with a gentle joy and a sense of simple delight."